19 year-old Marlana VanHoose of Kentucky sang the national anthem. At age 19, Marlana VanHoose sang the national anthem at the Republican National Convention Monday night. That’s pretty impressive, considering doctors didn’t expect her to live past age one. 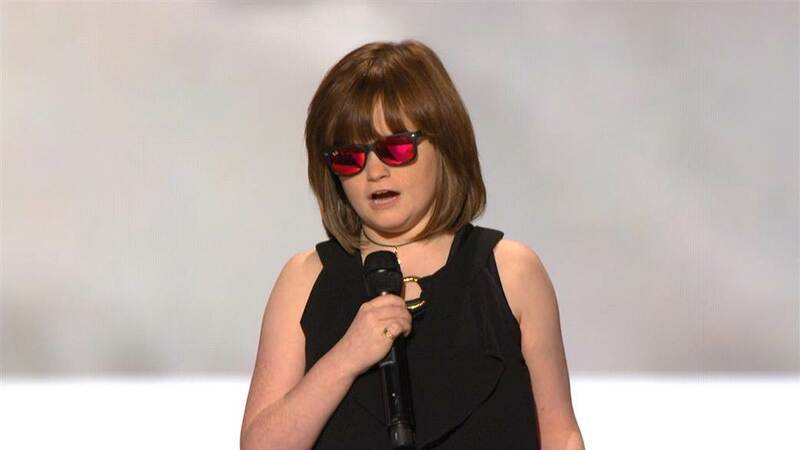 VanHoose was born with cytomegalovirus, which prevented her optic nerve from fully forming, according to her website. By the time she was a few weeks old, doctors knew she was blind. At two years old, she was diagnosed with cerebral palsy. But that hasn’t stopped her from singing. VanHoose says she started humming tunes before she could talk, and was learning piano by ear by age two. Today she sings at events around the country, and on Sunday—the day before the convention started—she was invited to sing at the RNC.